Framed by the shoreline forests of Vancouver’s iconic Stanley Park, SKOOKUM features an eclectic mix of contemporary music, food, and art – just minutes from the centre of British Columbia’s largest city. Alongside a music lineup of legends and new favorites, you’ll discover live art and multimedia installations by local artists, complemented by a taste-tripping selection of culinary experiences – from cool food trucks to remarkable dishes from some of Vancouver’s most notable chefs and restaurateurs. Thirsty? We’ll also be bringing you the regions best with tasting areas showcasing premium BC wines, local distilleries, and craft breweries. SKOOKUM is proud and honoured to be working with the Musqueam, Squamish and Tsleil-WaututhNations. We are grateful for their support in welcoming this inaugural festival onto their shared territories. To learn more about this collaboration click here. Originating from the historical Chinook Jargon of the Pacific Northwest, SKOOKUM translates to strong, brave and impressive. It also means celebration. 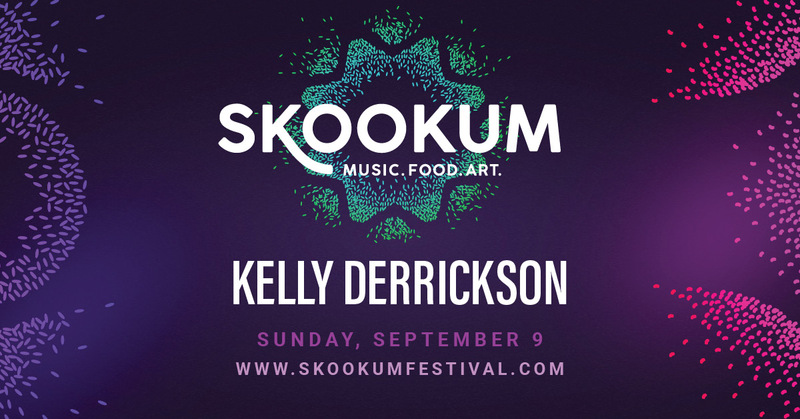 Connect with that spirit this September and experience the uniquely unconventional SKOOKUM. 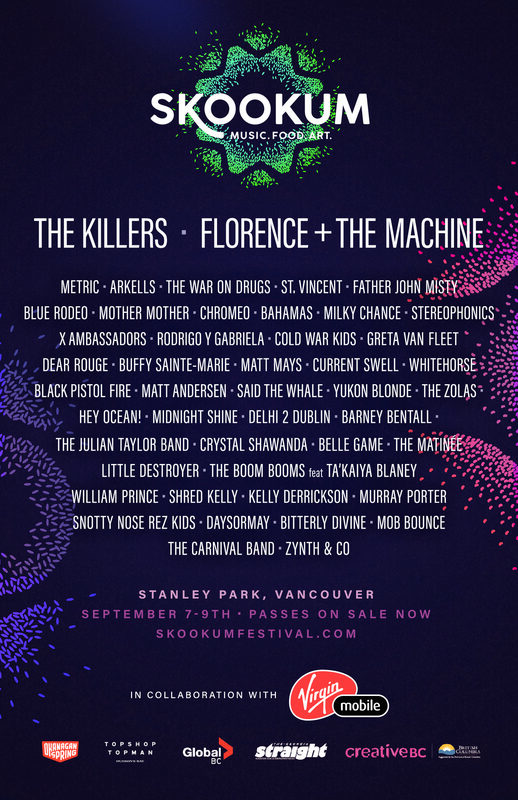 SKOOKUM’S highly curated lineup blends acts you know and love with emerging performers you’ll be discovering for the first time – a spirited, eclectic menu of authentic artists from the West Coast, across Canada and around the world. From Vancouver’s forest-fringed stages in Canada’s favorite urban park to diverse and intimate After Dark events in the downtown core, get ready for a weekend of incredible music. Now more than ever, Vancouver has become a city of foodies – and SKOOKUM celebrates these diverse culinary offerings by highlighting our city’s favourite restaurants, accompanied by award-winning local craft breweries, winemakers, and mixologists. So, whether you’re sitting stage-side with friends enjoying a curated picnic basket, or soaking in a feast for the senses at one of our long table dinners, know that you’re in for something special. Get ready for a one-of-a-kind experience. We’re talking massive collaborative murals, interactive installations, innovative sculptures and communal art activities. With strong ties to the Vancouver visual arts community, SKOOKUM will illuminate and elevate local legends as well as burgeoning heroes and Indigenous creators. You won’t want to miss this expression of culture-through-art featuring the West Coast region we know and love.